Aloha and Welcome to Daniel K. Inouye Elementary School! I am Yuuko Arikawa and State Superintendent Kishimoto appointed me principal of this dynamic school on July 2, 2018. I am a graduate of the Kamehameha Schools and attended the University of Hawaiʻi at Mānoa where I earned a BEd. in Elementary Education with an emphasis in Family Resources and a MEd. in Educational Foundations: Educational Leadership in the Asia-Pacific Region. To become and administrator, I completed the Hawaiʻi Certification Institute for School Leaders through the Department of Education. 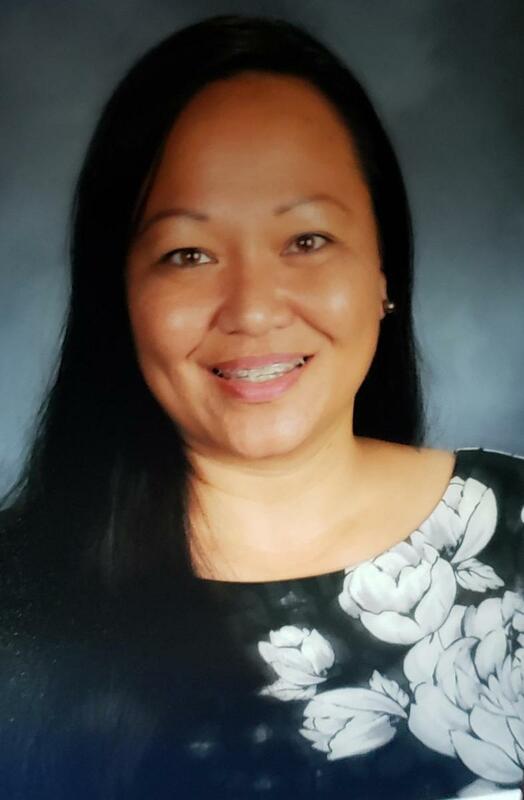 Prior to becoming the principal of Daniel K. Inouye Elementary School, I was a Teacher and Academic Coach at Kaʻala Elementary beginning in 2000, a School Renewal Specialist for the Central District, and a Vice Principal. My father emigrated from Japan to Hawaiʻi and neither of my parents graduated from college. Like many parents who have great hopes and dreams for their children, they always emphasized education and hard work for me and my siblings. I've lived in Hawaiʻi my whole life, and I enjoy traveling for leisure, to learn, and to help others. I've visited 21 states and Japan, Canada, Mexico, Bahamas, England, France, Italy, and Germany. I have a lot more on my bucket list, which I look forward to. Personally, I have four children. My oldest graduated from Northern Arizona University in December 2018 with a BS in Environmental Studies, a BA in French, and an International STEM Certificate. My second child began at Washington State University but has since transferred to Northern Arizona University. My third child is studying Automotive Technology at Leeward Community College. My youngest is at Leilehua High School and taking advantage of a dual-enrollment opportunity where she can earn high school and college credits. During your brief time in Hawai'i or for your elementary school years, I ask you to consider our art piece which fronts the office. "Kaulele" is the work of artist Kim Duffett and it means to soar. The waves represent the ocean which surrounds us. The ʻio is a native Hawaiian hawk and a symbol of royalty. Although the ʻio primarily lives on Hawaiʻi Island, they have been spotted on Oʻahu and Kauaʻi. Placing the ʻio by the water is symbolic of our transient students who need to adapt to their new surroundings. At the same time, there is much to learn, experience, appreciate, and contribute. Like the ʻio, we want our students to soar. In Hawaiʻi we have ʻōlelo noʻeau, words of wisdom, and here is one which relates to our students and sense of place. The birds poise quietly in the gentle breeze. Said of those who are at peace with the world, undisturbed and contented. Welcome to Hawaiʻi and to Daniel K. Inouye Elementary School! I look forward to our time together.